GirlWonders | …whatever the girl is wondering about. Newest works, news, the works. Grimoire issue two is live! The issue also contains a video project I’ve been working on with James — I am no film artist, let me tell you. My friend the poet Annah Browning (who has been blowing up lately…) jokingly suggested that our magazine needed an advice column called Resident Ghost, wherein we summon a spirit to answer reader questions. So, this is that. We had far too much fun with the Holiday Special edition. I also wrote a riff on Angela Carter for the issue, if you are as in love with her work as I am. I’m almost done with Heloise&Wulf, the video game I’ve been working on; we previewed it at Bitbash Chicago back in October (we took part in their Halloween spectacular), and art from the game appears in Grimoire as the header art for the Billy’s Dream interpretation column. 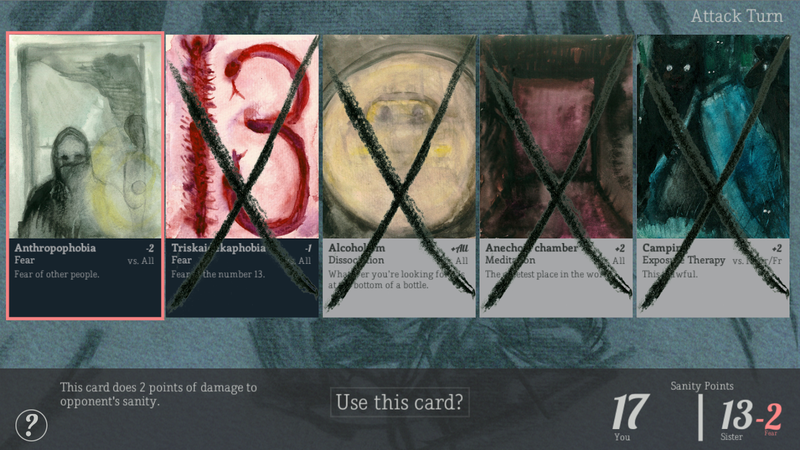 The people who playtested it were very kind about our odd duckling of a post-apocalypse card game. 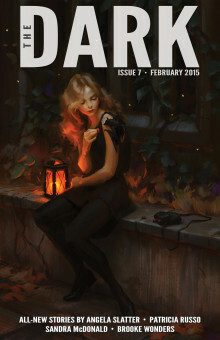 I have two new stories forthcoming: “An Affectionate Silence,” in Lethe Press’s anthology Survivor, edited by Maryanne Mohanraj and J.J. Pionke; and “Seven Devices for Dispelling Demons,” from Wild Musette. And I finally finished a downdraft of the memoir, which has only taken me 10 years to figure out how to structure. I’m returning to Ghostwitch, the novel I finished back in June, so as to teach myself a better process for long-form revision before I go breaking the memoir with my cluelessness. Wrote 150K on those two books alone last year, not counting the (very lengthy) script for Heloise&Wulf. I owe it all to James, who lends me his hands when mine let me down. The wrist pain comes and goes (I will never be a regular blogger, ha ha ha grr) but we manage. Hopefully 2017 will bring more of same, productivity-wise (and in NO OTHER WAY). The world seems dark and terrifying, and everything I make turns nightmarish, but perhaps that’s only reflection. I’ll be at AWP this year with my Grimoire co-editors, dressed in black with my witch’s hat on. Stop by for a Motherpeace tarot reading, some Grimoire shwag, or an ankh stamp to bring you back to the glory days of ’90s era gothdom. The Secret Project is no longer secret! Last week we launched Grimoire Magazine into the wild, where it immediately made friends with all the sharp-toothed beasts of the forest. I’m working on a few more features to be rolled out soon — an advice column called Resident Ghost as well as a review or three — but I’m so pleased at the positive reception Grimoire’s had thus far. We launched the magazine while James and I were traveling in Arizona, just two days after we spent the night at the haunted Grand Hotel in Jerome. It’s all felt terribly thematically appropriate. Novel is done as of last night. Came in at 77.5K words. 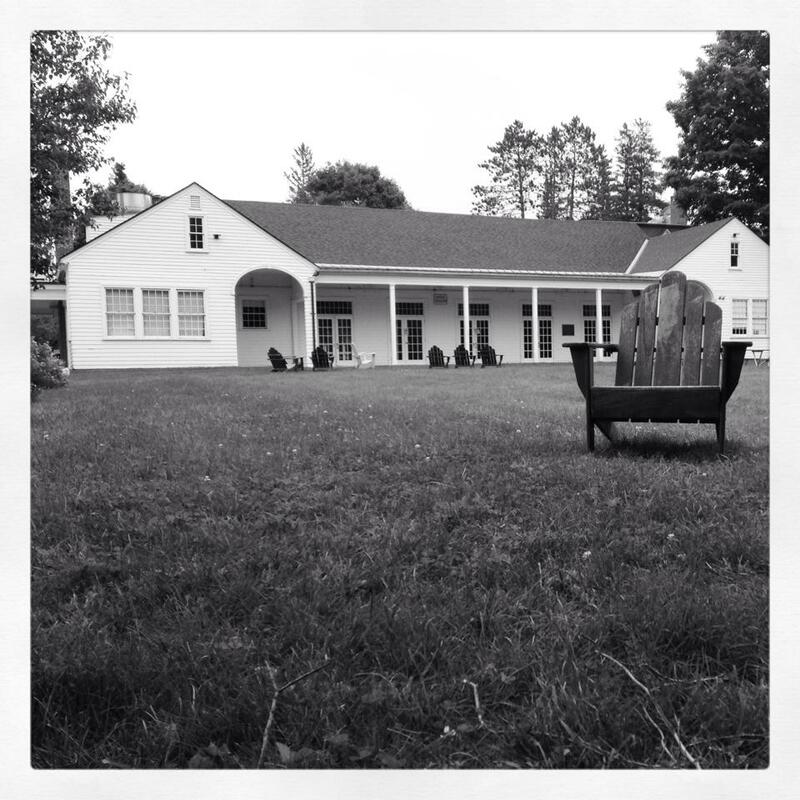 We lost a few weeks to traveling to see family, plus I’m heading to a 2-week novel revision camp (this weekend! ), which meant pausing at the top of Act 3 to put together a synopsis and clean up the first few chapters for the workshop’s consumption. I wish I were faster; James and I started the 90-Day Novel back in January (so, more like the 150-day novel, oof) and we began trance-writing pages back in early March. Still, this is the most hopeful about long-form writing I’ve been since my wrists decided they hated my career choice. I’m hoping to return from novelcamp with a completely overhauled synopsis, ready to redraft this sucker, though probably not until next January…want to let it rest so we can see it afresh. Now it’s James’ turn to novel: we’re planning to brainstorm his book together in July, and then I’ll work on my never-ending memoir plus short form (stories and essays) while he’s pounding out word count. Today we went on a bike ride through the nature preserve (very flooded, but also gorgeous with green) and ended with a fancy lunch downtown to celebrate. 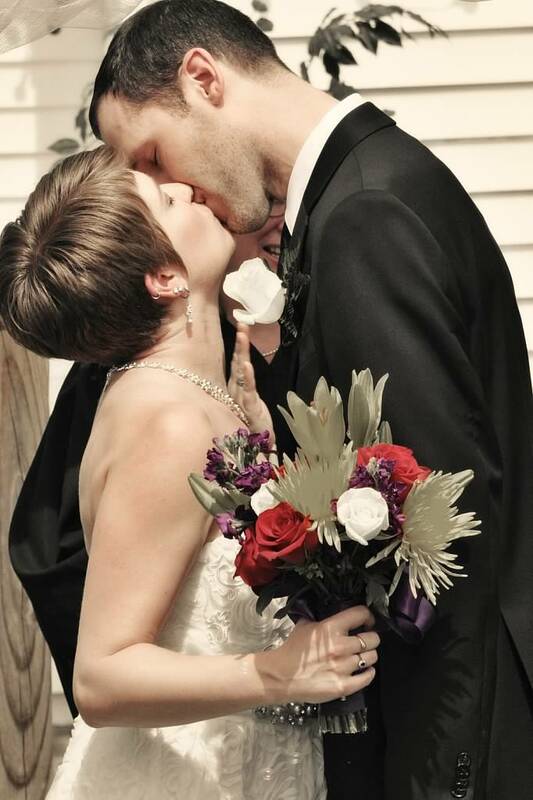 Our 2-year wedding anniversary is coming up while I’m away at revision camp. It’s been five years since Clarion, which is the anniversary of when we met. Pretty much since then, James & I dreamt of writing together — it’s something we both wanted, but we had such different processes and styles, it felt impossible, and early attempts ended in fire&tears. It took my wrists saying NO to the writing life — funnily enough, it was at this same novel-camp three years ago when things got bad enough for me to quit my daily wordcount goal completely and let myself heal. It took his willingness to give up some of his writing time to type for me. It took a lot of grief&pain for us to get this thing we’d always wanted. So often, horrible things I’ve been sure would destroy me have turned into twisted little gifts. This novel seems like another one of those. I still can’t believe it exists. June 17, 2016. Novel down draft complete. Even if we never do anything else with this particular manuscript, today I am so, so happy. Thanks, love, for being my arms. As blogging has become more and more important, how have the duties of the book reviewer changed? Are traditional book reviewing venues (hard copy or on-line magazies) still important? How does the expected audience for a book review affect what the reviewer should say? What are some of the best places to go for reviews of science fiction and fantasy? The unloved, the lonely, the monster left behind. Join us for a reading featuring Zombies, Dinosaurs, The Goblin Queen, The Girl Who Makes Pet Tongues, Horrible Hair, The Mix-Tape Monster, and a Self-Storage Service for Loneliness. Come hear their monstrous tales of woe. I’ll also be participating in the short-story workshop, and I never miss the clothing exchange and the Floomp…should be a busy but lovely few days. Hope to see you there! I haven’t blogged in ages because hands. Random nerve pain hasn’t let up; I still can’t write with anywhere near the consistency I’d wish, but I’ve stabilized. Or at least I’ve developed some strategies for minimizing wear and tear on the parts that hurt. The body and I maintain an uneasy truce: it lets me do my ! @#$ job and I don’t expect it to sit at a desk typing for more than a few hours a day. New projects: I’ve become enamored of collaboration, by necessity. A few friends and I are working on a secret project. I’ve been making a post apocalyptic story-based videogame. I’ll soon be taking part in Entropy’s collaborative epic poem Birdwolf. I will have a new essay (a set of erasure book reviews) out in DIAGRAM sometime this year. I’m also at the 25K mark (end of Act 1) of a YA novel set in Jerome, AZ, the draft of which I plan to take to a novel revision workshop in June. James brainstormed the plot with me, and he’s typing it while I dictate. It has ghosts and witches in it, so it seems appropriate that it’s being written in trance state. I get to play medium, nightly channeling The Spirits that power our novel. And of course I’m still working at UNI, which remains a daily pleasure. I love Cedar Falls, and teaching, and I have a fellowship this summer that will fund both the CSSF workshop and a research trip back to Jerome. When I line it all up in a paragraph, it doesn’t seem so terrible, though I’ve felt brutally unproductive in the year and half since I moved to Iowa. I’ve had zero patience with the sheer disruption of major life transitions: wedding/graduation/new state/new job. Only in the past few months have I hit my stride again as far as making things and putting them out in the world. Blog redesign is part of that. Future posts: I hope to blog a bit about the process of writing this novel, simply to document what’s working and what isn’t, since the whole Spiritualist trance-state process has proved so fun and weird and intimacy reinforcing. 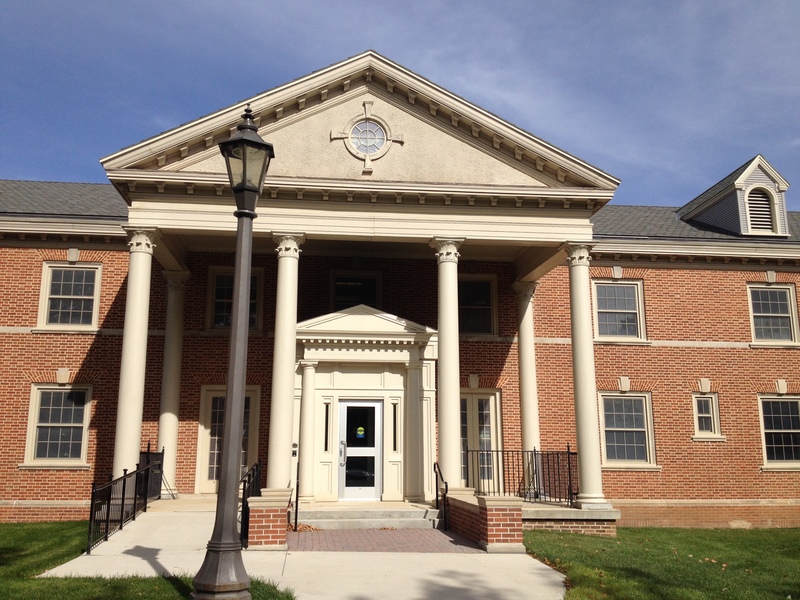 Plus I’m teaching an advanced nonfiction workshop in the fall (exciting!) that I plan to run as a long-form/memoir class, and I want to build my own textbook for it, since the ones I’ve run across have been lackluster. I may post sample exercises/prompts as I go; I’m curious to see how my students will feel about producing a Nanowrimo-like quantity of words in a single semester. No AWP for me this year, but have fun in L.A., everyone! If you’re at Wiscon in May, I’ll see you there. Just returned from AWP Minneapolis. I usually do a brief recap post along with a picture of the many books I brought home. Short version of trip recap: ate delicious Vietnamese food with Nick Mamatas, met with the Critical Creative Writing Studies group, went to Matt Bell’s excellent pedagogy panel, manned The Account table (new graphic-focused issue drops soon), saw more friends than I can name (Ruth and Sean from Breadloaf, all my UIC people, many mentors) and spent my last night in Minneapolis dancing past midnight. This year I’ve also recapped a panel for Assay: A Journal of Nonfiction Studies. Fabulous times all around. I’ll be posting my contribution to Entropy’s collaborative novel project next week. 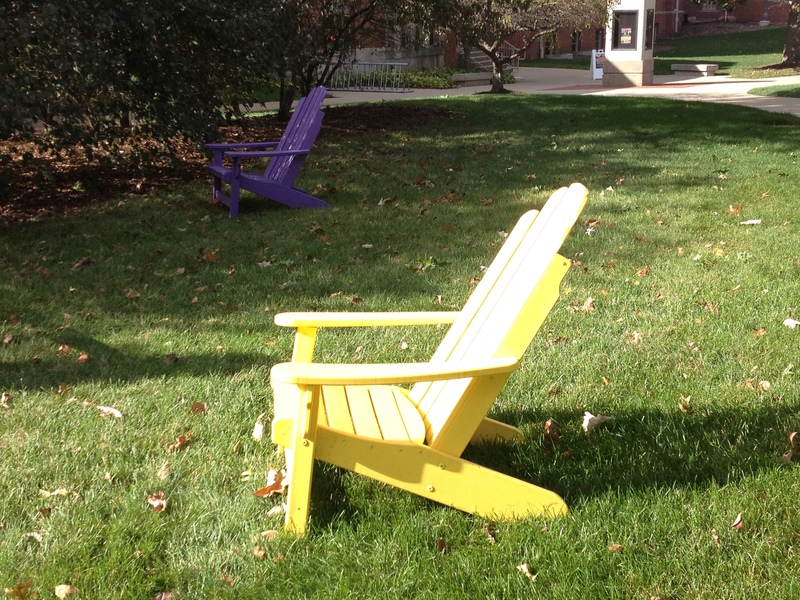 “The blog for Dean is not a journal or journalism nor a literary form. It may be something like the letter writing of a pre-modern era, which was meant to be circulated beyond the named addressee. It is a sort of technique of the self, one that installs a gaze that shapes the writer. But there’s an ambiguity as to who the writer is visible to. For Dean, this gaze is not that of the Big Other, but of that other creature of Lacan-speak, the objet petit a. In this version, there is an asymmetry: we are entrapped in a kind of visibility. I see from my point of view but am seen from all points of view. It is as if I am seen by an alien object rather than another person. I receive no messages back specific to me and my identity. Ego formation is blocked.” –from I cite. I haven’t blogged in forever because life happened so hard that I became unable to keep up with documenting it. Too busy living it. I still haven’t fully processed this magical, tumultuous year. Tl;dr: what happens when you get everything you ever believed you wanted, all at once? Also it was stunning there. That Vermont sky. I walked nearly every day, weather permitting. All the lectures and readings are up on iTunes, too, making it easy to relive the experience, or get a taste of it anyway (except that there’s no re-creating that sky). So that’s where I’m at. Newly married to a man I love to write beside; teaching excited, exciting students in a brand-new town; hiking along the riverside. Every day I wake up astonished that this is my life. Well, it’s not quite the perfect idyll: At month’s end I’m visiting a neurosurgeon in the continuing investigation of my nerve pain, which could please go away any time please. Still. I have never felt so lucky. I have a new blogpost up at the North American Review blog. My essay “Dissection” appears in their Fall issue (it’s the first piece in the magazine, and they put me on the cover!). It’s a great issue, with work by Denise Duhamel and Mike Antosia, among other luminaries. Consider picking up a subscription. I think that’s all? Many new publications are forthcoming, and I’m a finalist for something I’m fairly certain I’m not supposed to announce yet, but I will save those agenda items for other, future blogposts. This one is already full to bursting with happy news. 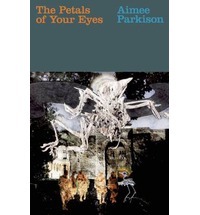 A review of Aimee Parkison’s The Petals of Your Eyes. My (slightly delayed) contribution to the Wreckage of Reason II blog tour is here. Backstory: I met Aimee Parkison at AWP this year. She put together a panel on experimental women’s writing and invited a handful of people from the anthology to take part. I’d written a paper about the slipperiness of defining “experiment,” and she wrote a fascinating piece that defined experimentalism against mass market/genre literary production. If you know me at all, you know that I disagree emphatically with the elision of those two terms. I believe that the devices used in so-called genre fiction are wildly useful, and not to be confused with market-based fiction (I agree with Brown’s distinction in this piece). I ended up throwing away half of my prepared remarks and speaking extemporaneously in response to Aimee’s piece. It was an invigorating Q & A session, and she was kind and forgiving of my spontaneous rant, and in the end she gave me a review copy of her book. Backtracking a bit: I’d actually heard Aimee read the night before, as part of Starcherone’s offsite AWP reading (with Alissa Nutting, Brian Oliu, Cris Mazza, Andy Farkas, and a bunch of other authors whose work I follow). I’d very nearly bought her novel–picked it up, petted it covetously, set it back down sadly–but I’d already spent a horrifying amount of $ on books that day (much of it at the Starcherone table). 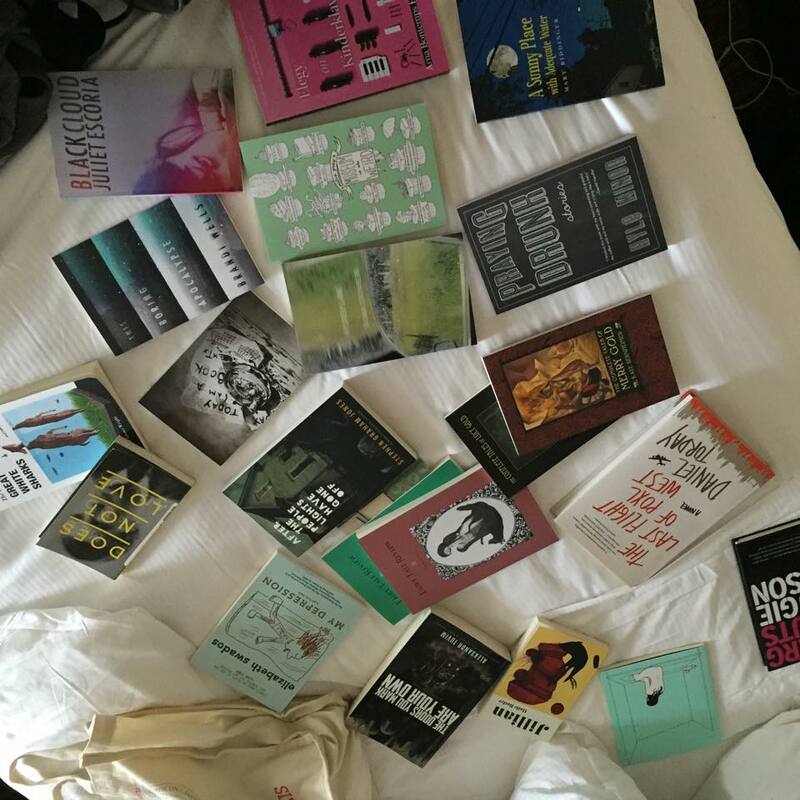 So having a copy fall into my lap was…well, that’s the serendipity of AWP, which, for all its tradeshow pomp and circumstance, does have these fleeting bright moments of meeting other writers and expanding one’s reading list. Five months and several rereads of Aimee’s book later, I have a sort of review/meditation on it up at Entropy, the new blog launched by Janice Lee and Megan Milks (among others). If you’re looking for an excellent new literature/film/SF/fantasy/gaming blog, they’re the place to go. Very pleased to have work up on their site.